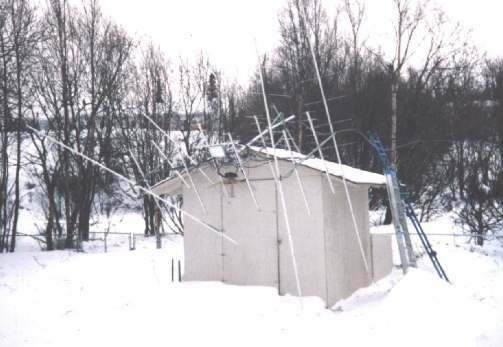 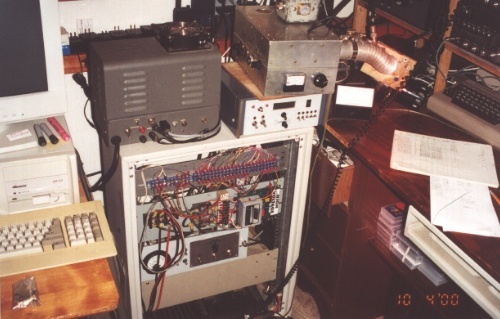 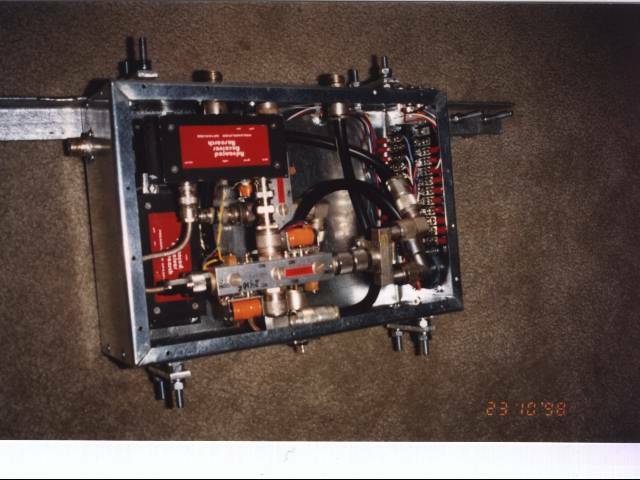 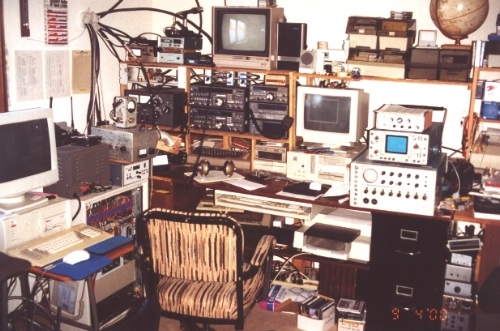 This is the AL7OB HAM Radio Station, 1995. 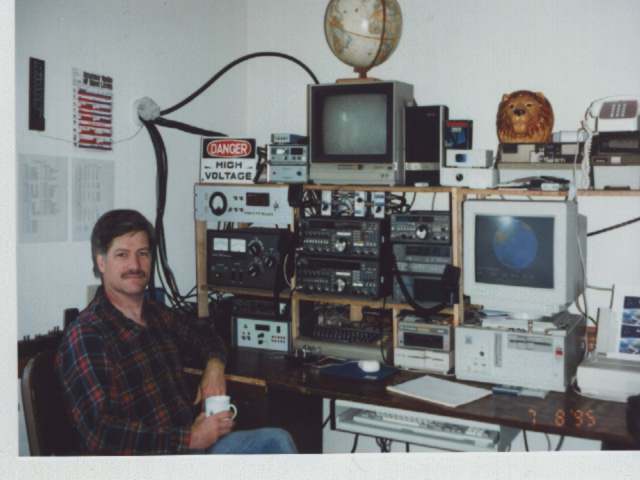 Mike at the helm. 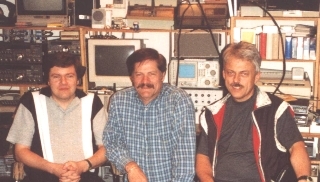 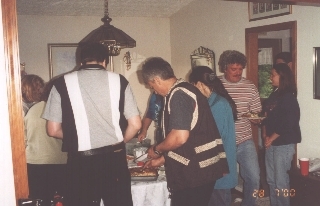 A visit from OE9ERC, Erich (right), and OE9WRS, Werner (left) on July 28, 2000. 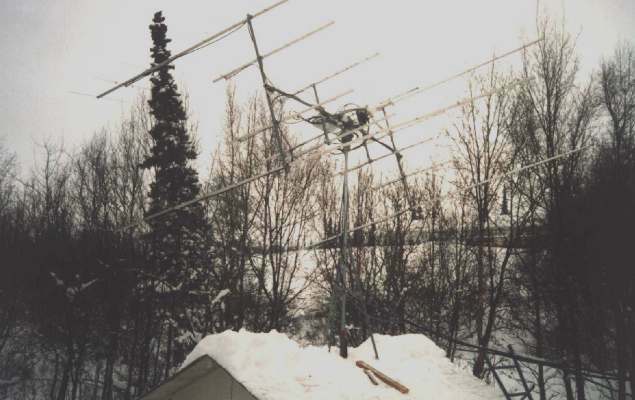 (W5UN of course). 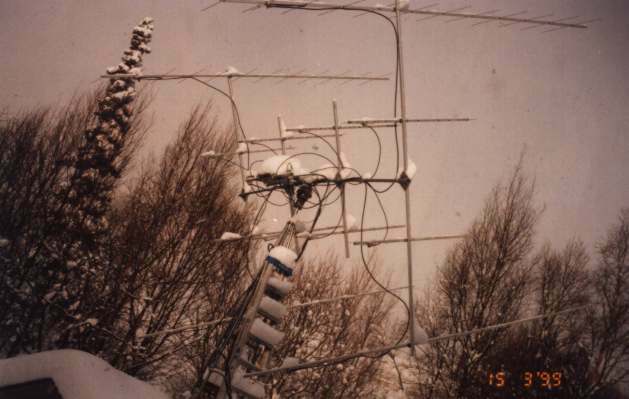 48 el on 144 & 96 el on 432.
array for 432 MHz only.